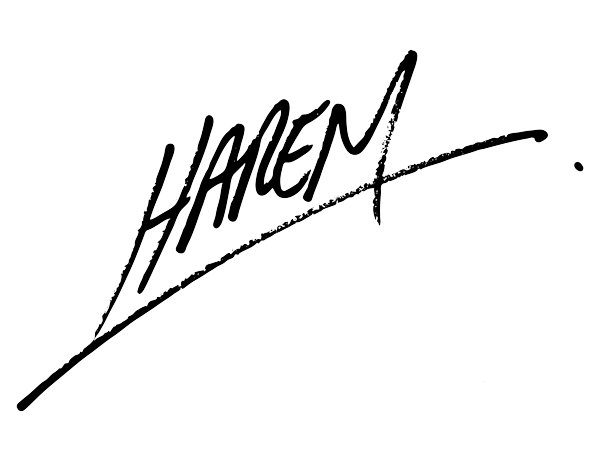 Harem was born in 1972 in the small gold-rush town of Barberton, South Africa. With a rural childhood and the freedom only known to a farm boy, his mind was allowed to wonder and create with complete abandon while nurturing his fine eye for detail and love of all things natural. His passion for exploration took him to remote parts of Africa, the Middle East, Europe and far-flung Indian Ocean Islands where he absorbed inspiration from diverse local cultures. The origin of man and his place in the universe has always been a strong theme in his work while the young self-taught artist continuously pushed his own style to compliment his sometimes very complex themes. 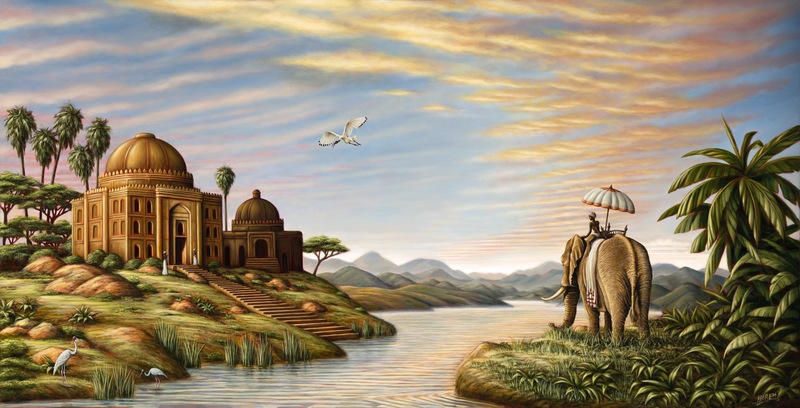 A one year apprenticeship in Kenya to the Italian artist Armando Tanzini inspired his now very often monumental scale canvasses and murals. Having been a full-time artist since he left school Harem has built up close relationships with many of his international patrons who include Richard Branson, the UAE Sultanate and many other private collectors in the USA and Europe. With a keen understanding of himself and his obsessions Harem has lived a life full of colour and adventure, at times in reclusive solitude and at other times in the large cities of the world where he has exhibited in France, Israel, Kenya, Germany, South Africa and Spain. Harem is based in Cape Town, South Africa.